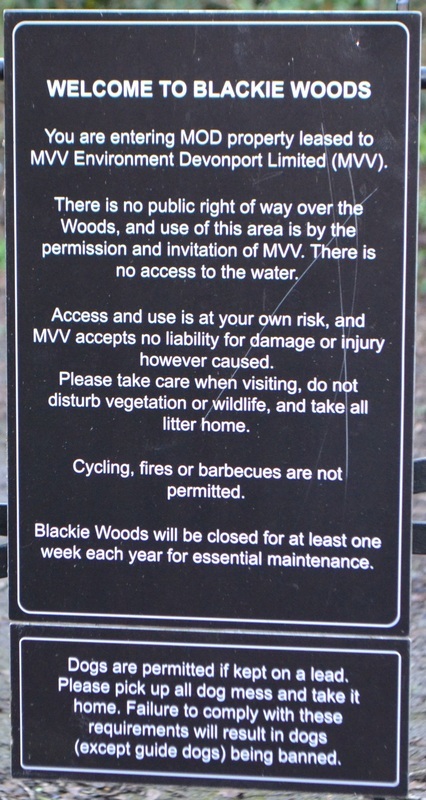 This is only a draft version at the moment but is published in the hope that maybe some more pictures or information will come to light concerning this short and secret branch. 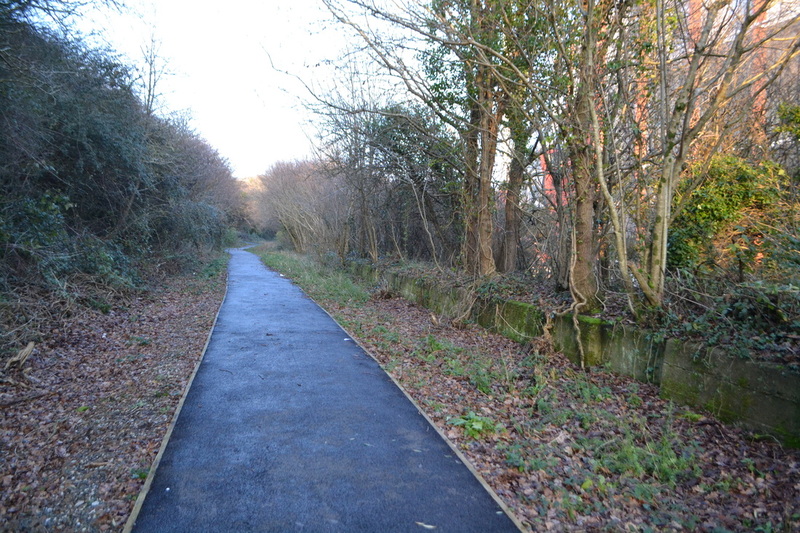 Paul Burkhalter has very kindly sent us a brief history of the branch leaving the main line at St Budeaux Junction. This isn't a full history, but will give a flavour of the location - we very much look forward to his forth coming book. moved. 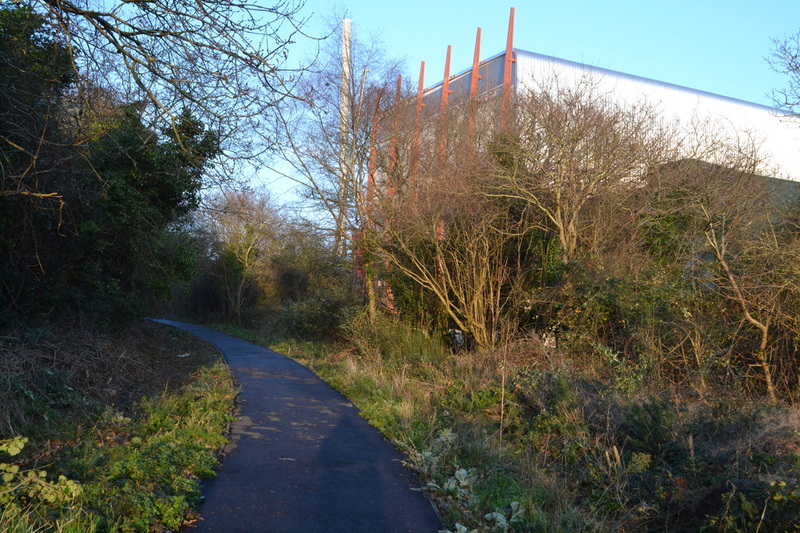 In the mid 19th century, the area known as Keyham Yard was constructed, and as the then site of Keyham Magazines (approximately located inside St Levans Gate) was too near the new Steam Factory, a new location had to be found. 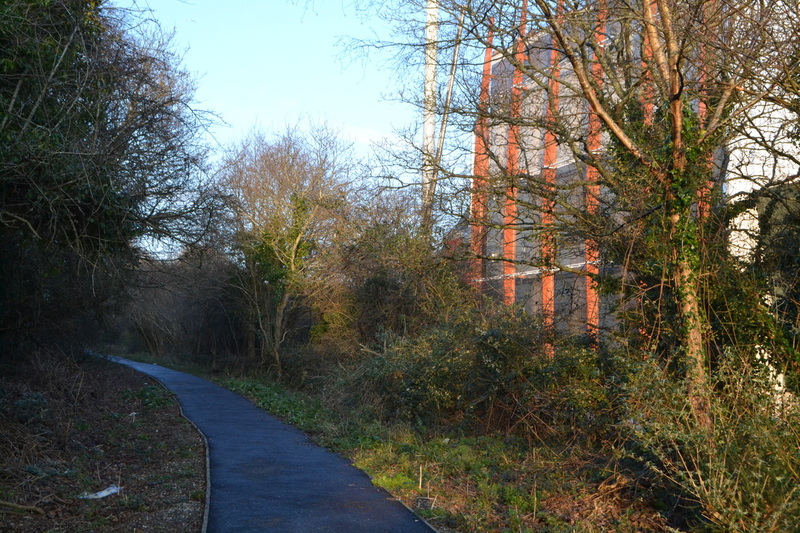 This was on the Kinterbury Estate at Bullpoint, north of Weston Mill Lake. An extensive range of buildings, many explosion protected, were erected along a very narrow stretch of shoreline, completed in the 1850s. At the outset some kind of railway was envisaged, and in 1853 a 3'8" internal tramway was laid down, with hand pushed "tumbrels". This limited system lasted until 1896-7 when it was rebuilt to 18" and extended to cover the whole depot, being completed in 1901. Meanwhile, the matter of a main-line connection had been debated for some time, but it was the Great War that finally provided the impetus for this. 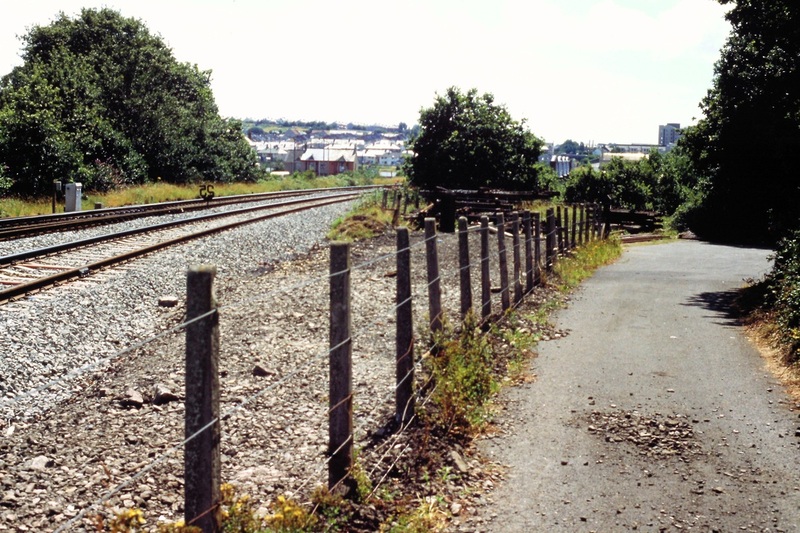 The standard gauge branch from St Budeaux was ready on 18 May 1916 and bought into use on 2 June. The line dropped from the main-line at 1 in 70 to a run around loop, with a transit shed and platform where the narrow gauge had sidings. A regular freight service was timetabled, mainly off the Keyham transfer goods, latterly only running as required. 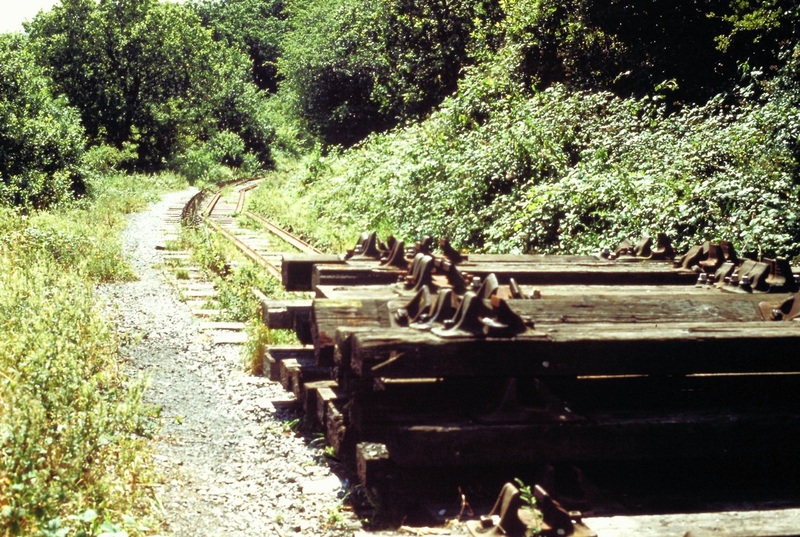 The narrow gauge fell into disuse about 1958, and the main-line was OOU by 1985. 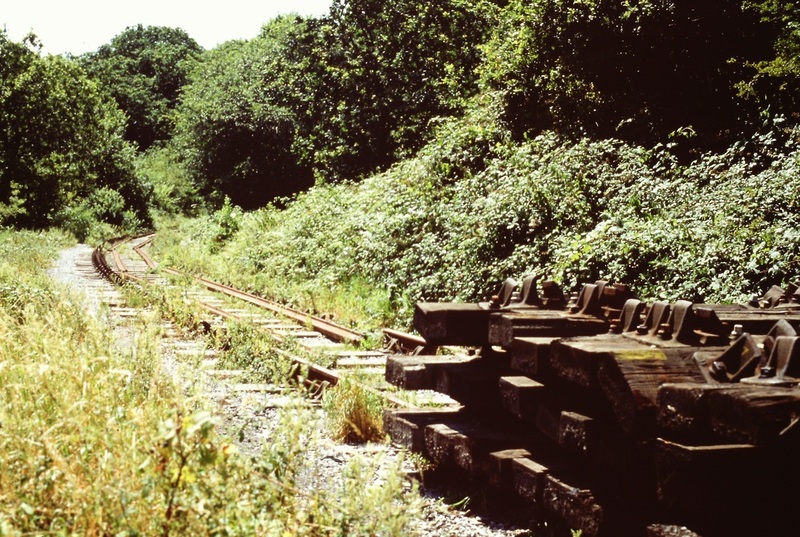 When lifted, much of the s.g. trackwork was obtained by the Plym Valley Railway. We are grateful to Paul Burkhalter for this brief history. 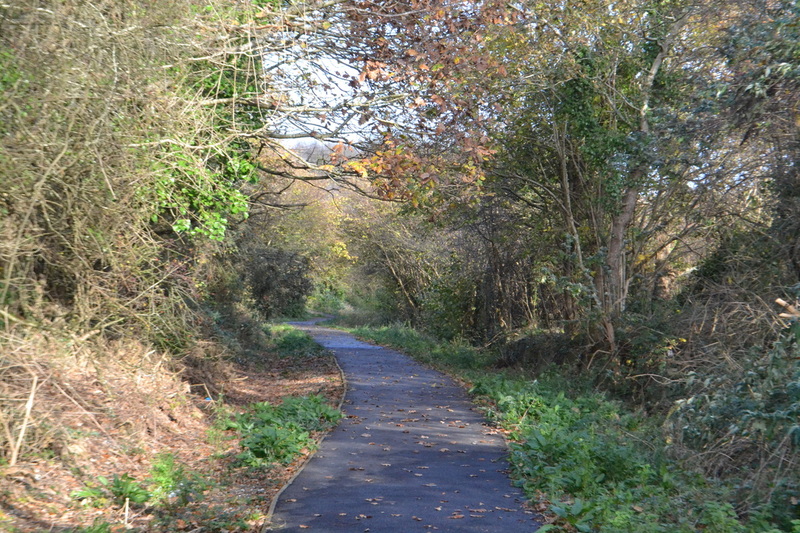 Paul has just published (October 2017) 'Plymouth's Hidden Railways' published by Twelveheads Press this gives considerable detail of the branch and narrow gauge system beyond. 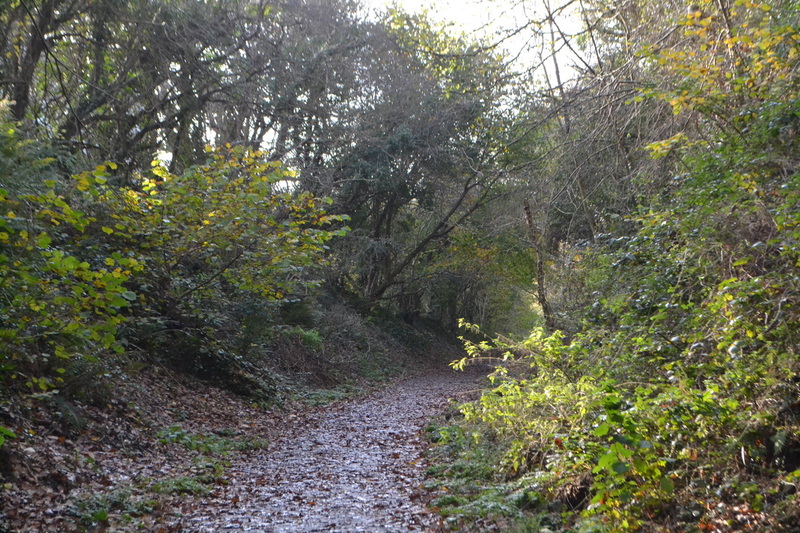 An interesting story from John Ball re the Bull Point branch. I read with interest the item about Weston Mill viaduct. 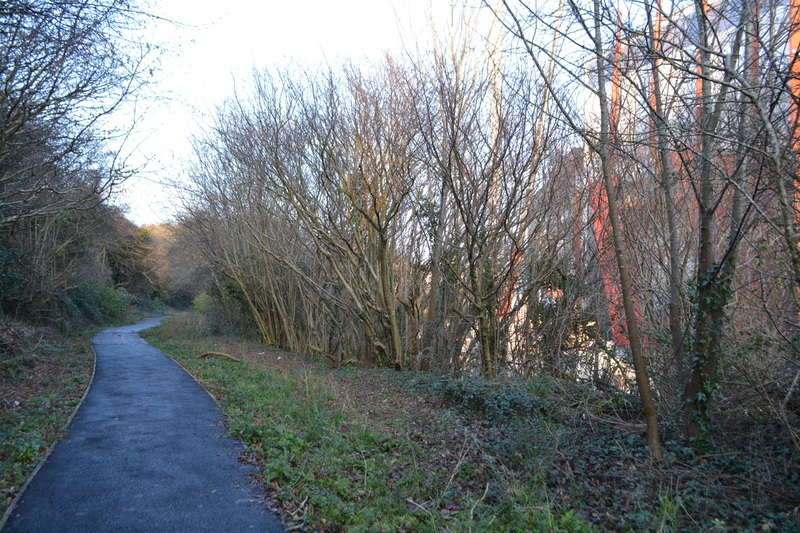 As a youngster this was very much my patch with bike rides down to the Weston Mill bridge and on to St Budeaux to watch the goings on; happy memories of the diesel hydraulics. In particular, there was a daily trip working with a D63xx down to Bull Point and then Ernesettle or the other way round. Nobody ever minded my taking photos by the signalbox, and I even got a ride on the train to Bull Point one morning. I took a snap of the train at the terminus there and was quickly advised to put my camera away, but not arrested as a Soviet spy or terrorist - things were more laid back in those days. Several years later, on vacation from Leeds university, and not working that day, I went back and took from the main road a photo of Weston Mill viaduct with a Warship (one of the last by then) crossing on a down train. They hadn't filled in the creek at that time. To my surprise, a police car stopped and I was informed by the occupant that I was being arrested under the Official Secrets Act for photographing a defence establishment - you could just about make out the Royal Marine barracks buildings in the distance, although the amount of detail to be ascertained from a humble Kodak Instamatic camera at that distance was unlikely to be of any aid or comfort to the USSR! I was then taken to Special Branch, where fortunately the rather more intelligent officers realised how silly this all was. After developing my film to make sure there was nothing untoward, they accepted my explanation of being an innocent railway enthusiast and I was allowed to continue on my way. 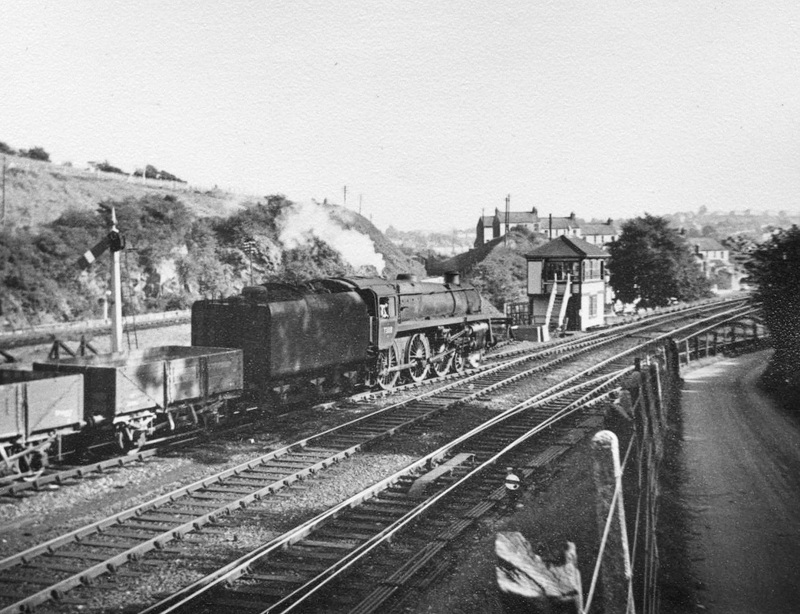 A transfer freight draws onto the Bull Point branch in 1972. 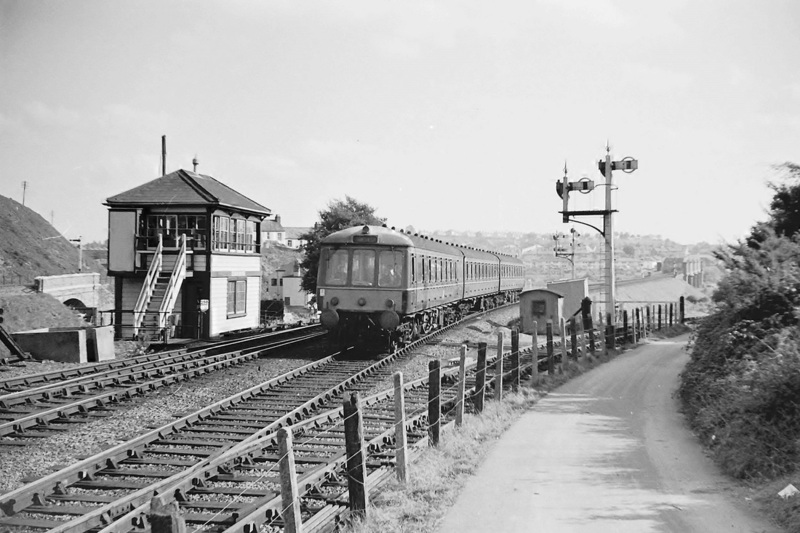 Note St Budeaux signalbox in the background. Copyright John Ball (Maybe this is the train he rode to the terminus - if only he could find the snap at the terminus - keep looking John - many thanks. Courtesy of the Six Bells Junction Railtour Files we have a record of a rail tour which visited the Bull Point Branch on Saturday 10th May 1980. 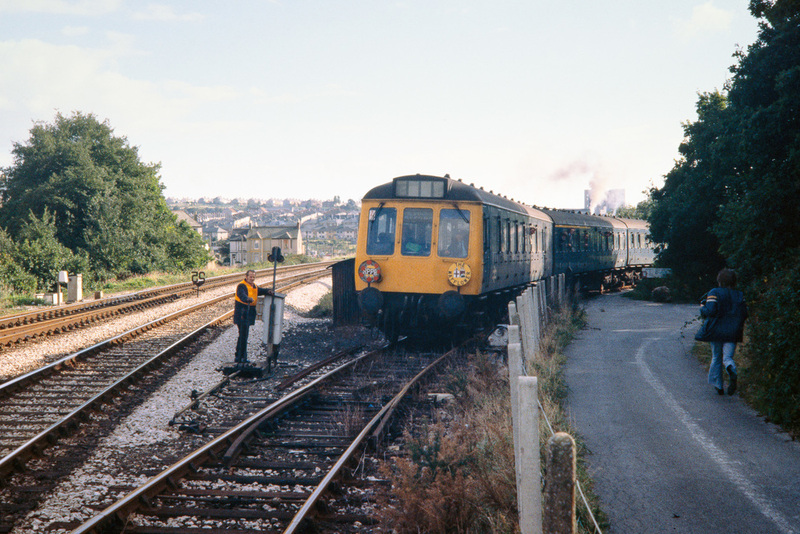 The railtour left Bristol Temple Meads at 10.07 and included the Taunton Goods Loop, the Marsh Barton Branch, Texaco sidings, Heathfield branch, Plymouth Friary, Turnchapel Branch Junction, Cattewater Branch (1¼ MP), Devonport Dockyard Exchange Sidings 16.41, Keyham West GF, St Budeaux Jn 17.26 to 17.28, Bull Point from 17.33 to 17.42, St Budeaux Jn 17.44 ~ 17.51 and thence back to Plymouth and Bristol Temple Meads arr 20.37. 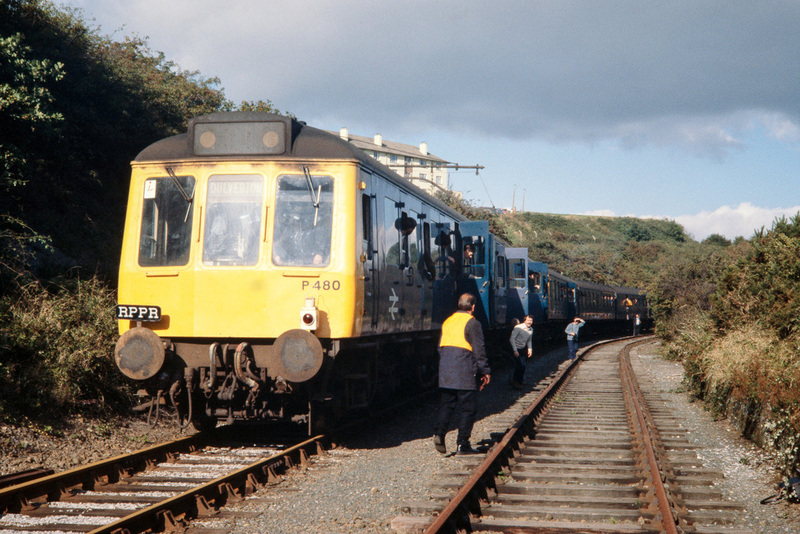 Has anybody any photographs of this railtour please, particularly on the Bull Point branch? 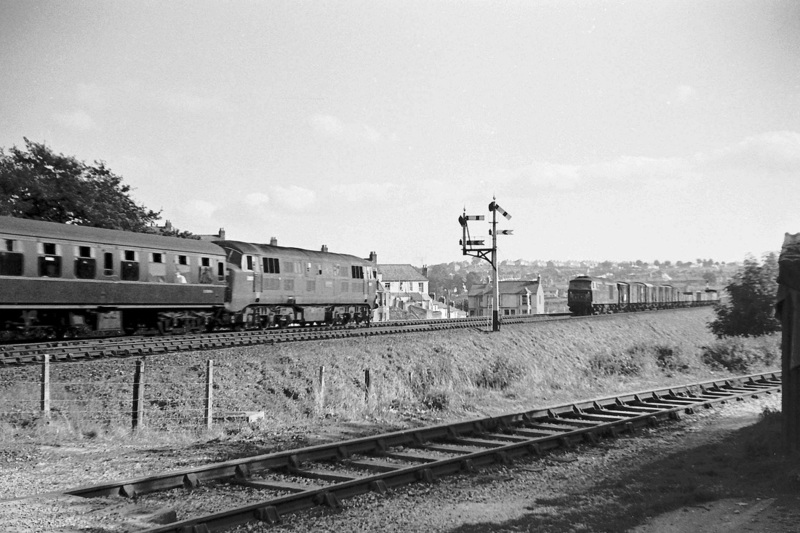 St Budeaux Junction 73118 hauls an up freight off the Southern heading past St Budeaux Signalbox towards Plymouth on the 29th September 1964 - Copyright Sid Sponheimer. 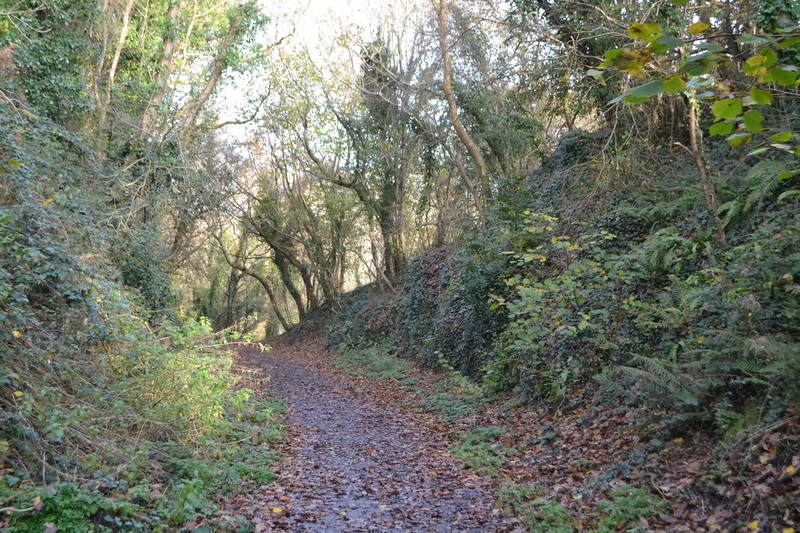 The Bull Point branch is is the line leaving the down main by means of the point in the centre of the picture. A heritage set comes from Plymouth heads for the Royal Albert Bridge and Cornwall. What a wonderful view we once had from the front seats. Copyright Sid Sponheimer. 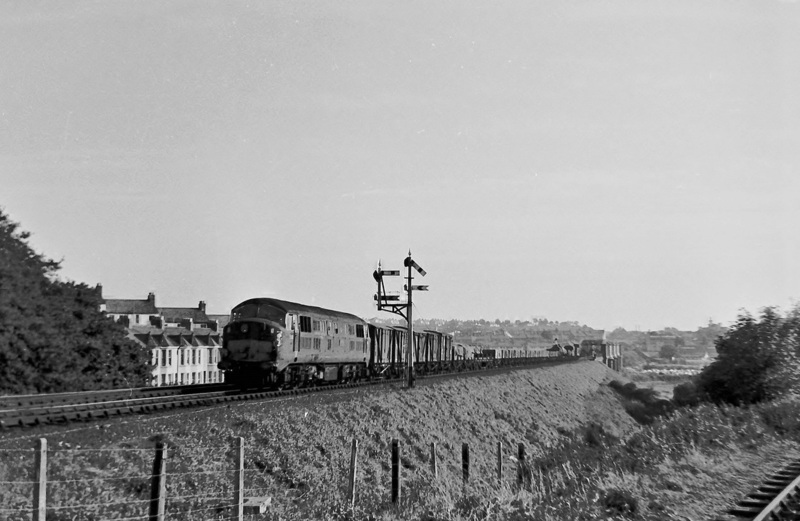 A class 41 Warship heads towards Plymouth while a Hymeck hauls a freight for Cornwall. 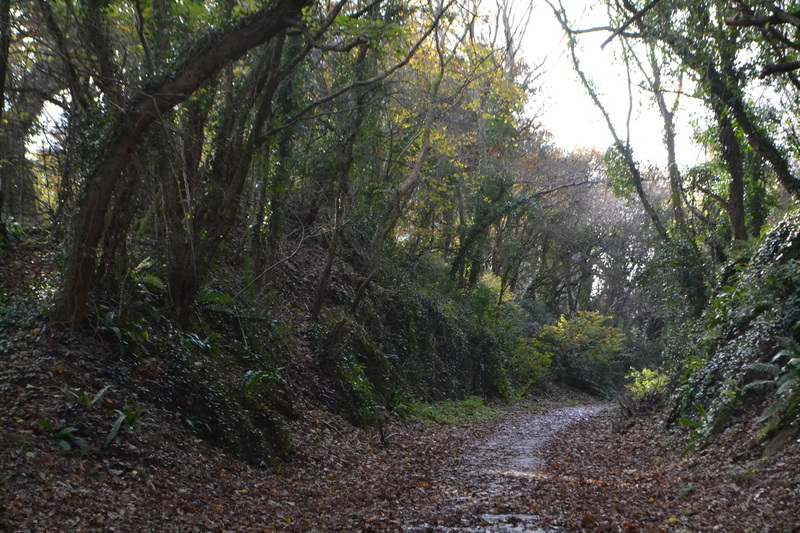 The Bull Point branch lies in the foreground. Copyright Sid Sponheimer. 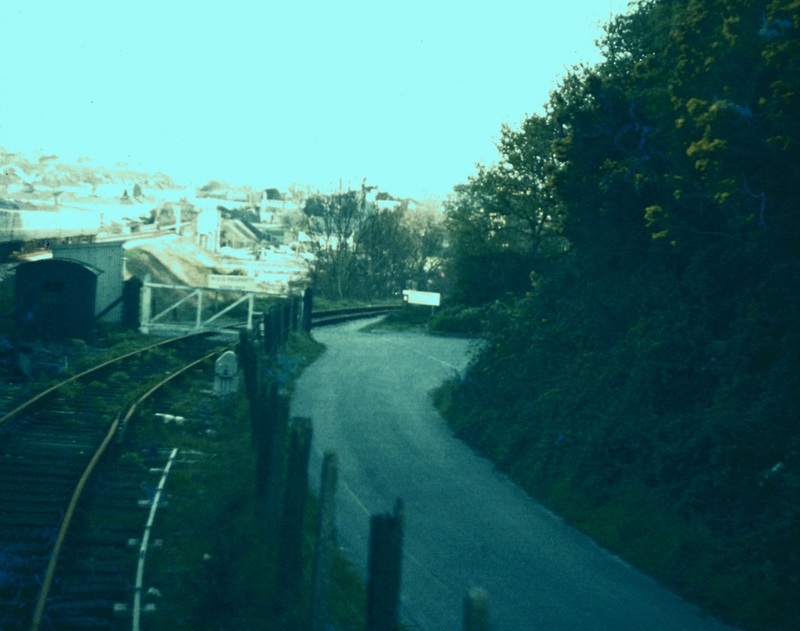 A picture of the Bull Point branch taken on the 14th April 1974 and looking slightly further around the bend. A catch point protects the main line. Apologies for the condition of the picture. Copyright Roger Winnen. 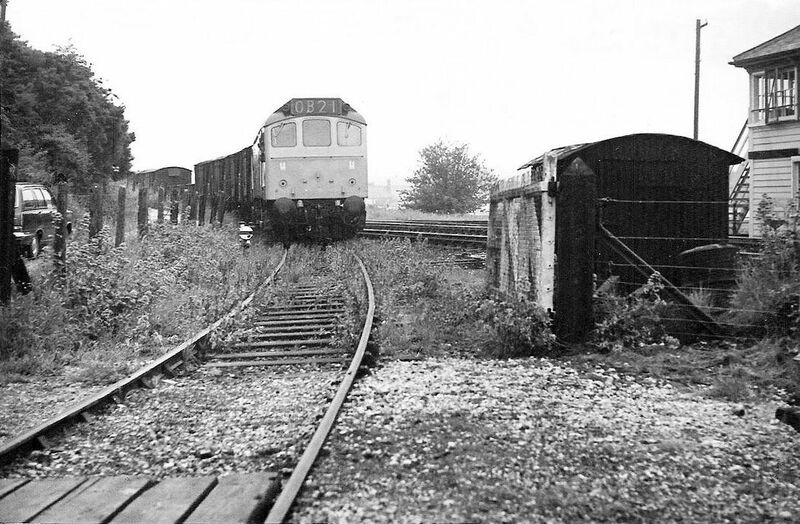 There is a picture of a class 25 just emerging from the branch is to be found on the Classic Traction site . This is available at a price - contact them, the copyright holders. The main line point has been taken out and the down main looks to be freshly ballasted in this area. Work is in progress lifting the Bull Point branch. Copyright Roger Winnen - the date is 28th July 1990. 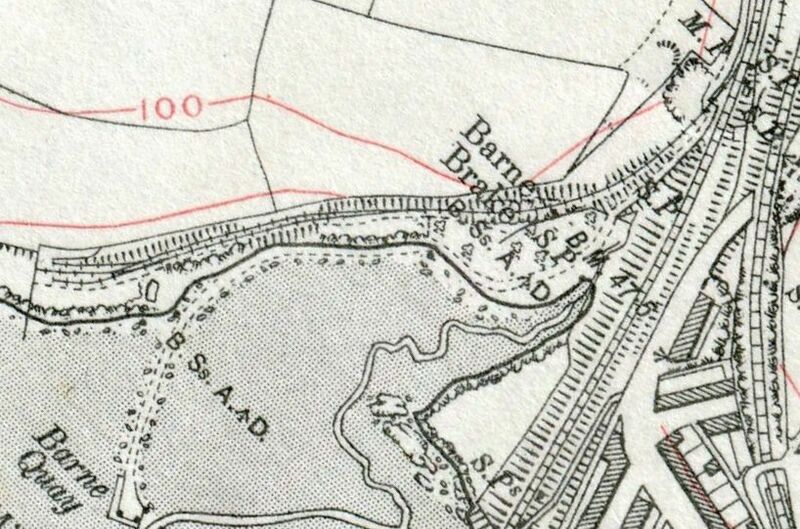 Bull Point branch in 1933 from the local OS map. The line was mainly single throughout but with a long passing loop. 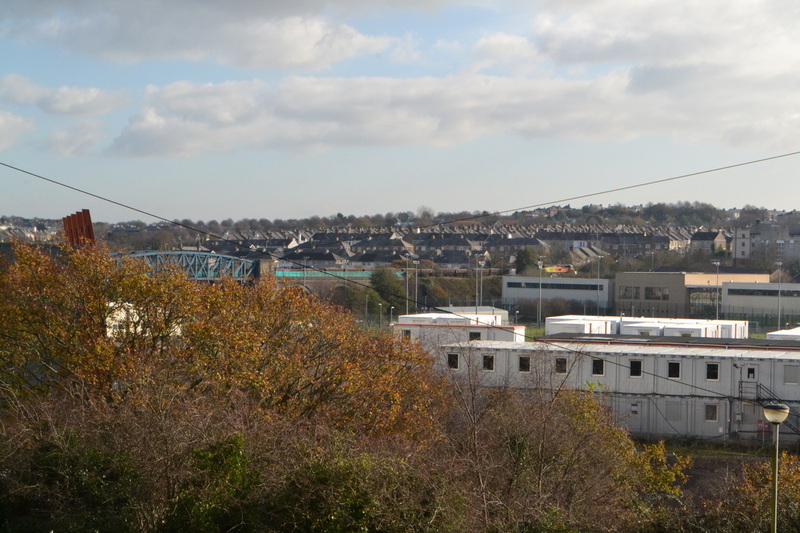 There appear to be three sidings serving the loading platform. 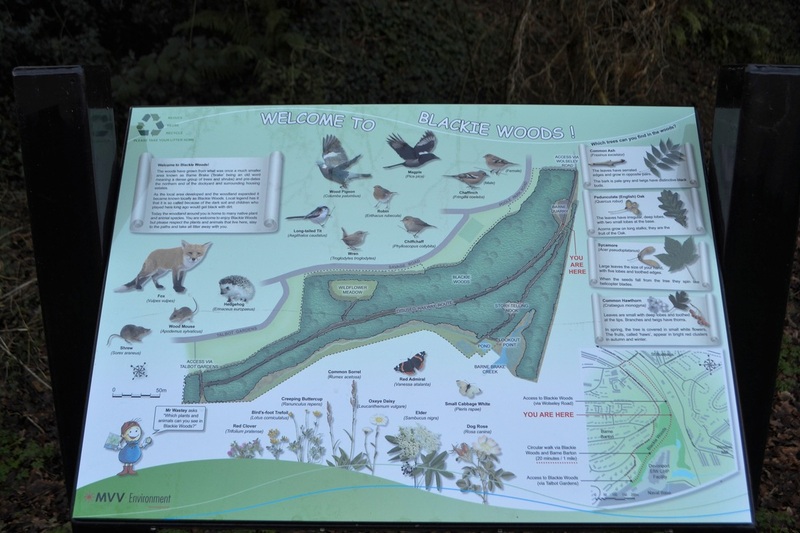 As can be seen the branch and surrounding woods are opened to the public on a limited basis.